Maybe you read my message about some evil companies trying to censor my website, if not read it here. But since they started to treat me with the lawsuit I decided to focus more on writing good reviews. So if you can’t find your desired natural toothpaste on search then most probably that toothpaste is not worth mentioning, it probably contains ingredients that are harmful or at least questionable. It really hurts me that I can’t tell the truth about evil ingredients some companies use. I spend several minutes to find a new decent product worth to be mentioned on naturaltoothpastebrands.com. But it is again not a standard toothpaste; it is again powder. 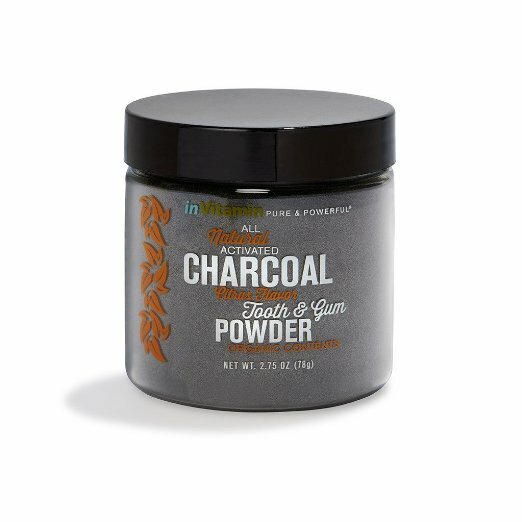 Charcoal Powder is a new way of cleaning your teeth. Charcoal Powder is fluoride free as well as SLS free. But not only it is free from dangerous ingredients, but it is also free from all other problematic ingredients like gluten, sugars and other preservatives you can find in some so-called natural toothpaste. When you read under ingredients something like Sorbitol or other derived sugars, you don’t feel comfortable. Don’t get me wrong, a company did nothing wrong by using naturally derived sugar (sorbitol), but you need to ask yourself, do I need to clean my teeth with sugar alcohol? Companies that use various types of sugars in toothpaste don’t understand that top natural toothpaste customers don’t consume sugar and would like to avoid it at all cost. But yet they use sugars in their product. And it is only the matter of time when all natural products customers will learn that some companies are selling them sugar in the toothpaste and understand that these kinds of ingredients are not needed to be put in their mouths. When that happen, all that companies that have a problem with my reviews will be closed. But unfortunately, this process can take time. People need to spread awareness and teach each other. That is the reason why I write this reviews. It is not hard to detect sugars; you can go to Wikipedia and type in ingredients. As well my next post will be about sugars in toothpaste. But let get back to this great product named Natural Whitening and Gum Powder With Activated Charcoal. Charcoal Powder contains lots of powders, but the main ingredient is Activated Charcoal, which is an antibacterial and antifungal ingredient. Other important ingredients that help clean your teeth are Bentonite Clay, Organic Orris Root Powder, Organic Myrrh Gum Powder, Organic Hibiscus Petal Powder, Organic Stevia Leaf Powder, and Organic Peppermint, Cinnamon or Orange Essential Oils & Extracts. Essential oils will give you clean feeling as well as fresh breath. A mix of all this powder is one of the healthiest combinations for your teeth. It will help you with gum soreness and inflammation. Charcoal Powder and inVitamin company prove that there is a way to make a pure natural toothpaste product that has zero dangerous or questionable ingredients. But not only that, this toothpaste contains zero useless ingredients like sugars, preservatives, alcohols and other ingredients that just help prolong the life of the product on shelves or to make the product taste better, so people buy more. These tricks are well known in the industry; don’t spend your money on them.